Once Upon a Time celebrates all things fairy tale for that special princess in your life! 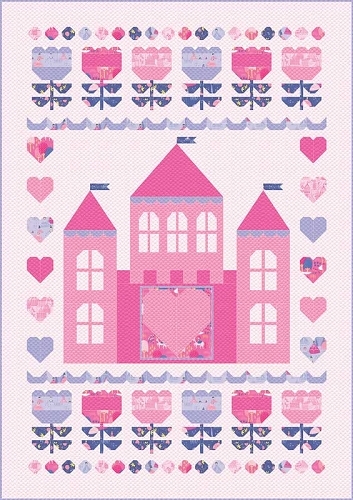 The Royal Grounds Quilt Kit includes The Royal Grounds Quilt Pattern and Once Upon a Time fabric both by Stacy Iest Hsu for Moda Fabrics to complete the quilt top & binding. 53'' x 75'' - You will need 3.5 yds (horizontal seam) or 4.75 yds (vertical seam) of backing fabric - Quilt Kit comes in a Presentation Box. Please check the Options below as to whether or not you want the box. Copyright Quiltable Fabrics. All Rights Reserved. eCommerce Software by 3dcart.